This school year, I feel like I am going back to the basics that I used during my CFY. I'm learning the needs of some 45 students (for now) and facing new challenges. Simple activities are high on my radar. I want something quick so that I have a variety of materials to hold their attention. Sometimes it is easier said than done to find these....but I think my latest creation hits the nail on the head. 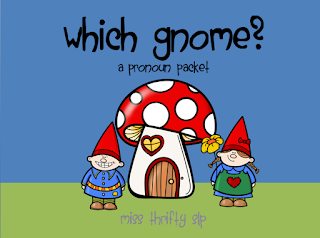 Which Gnome? 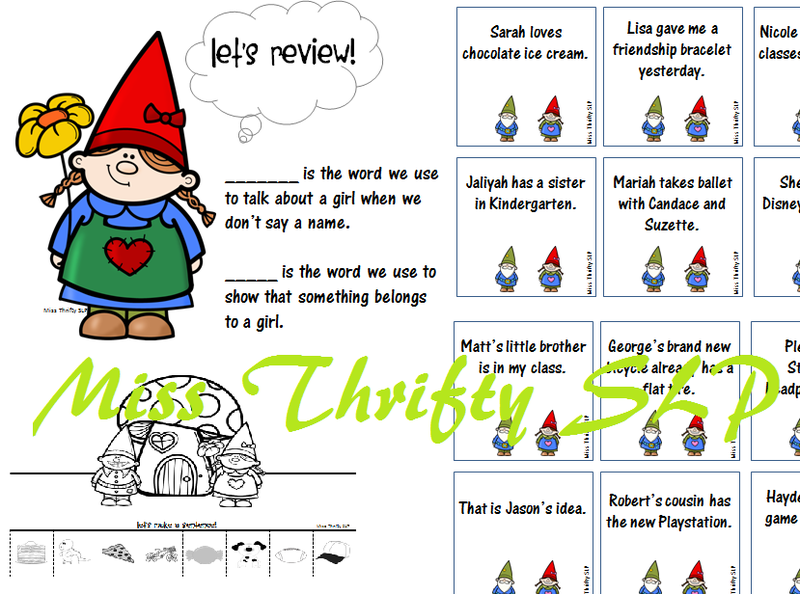 is a quick game to practice pronouns and speaking in simple sentences. The first part of the activity consists of simple drilling cards. 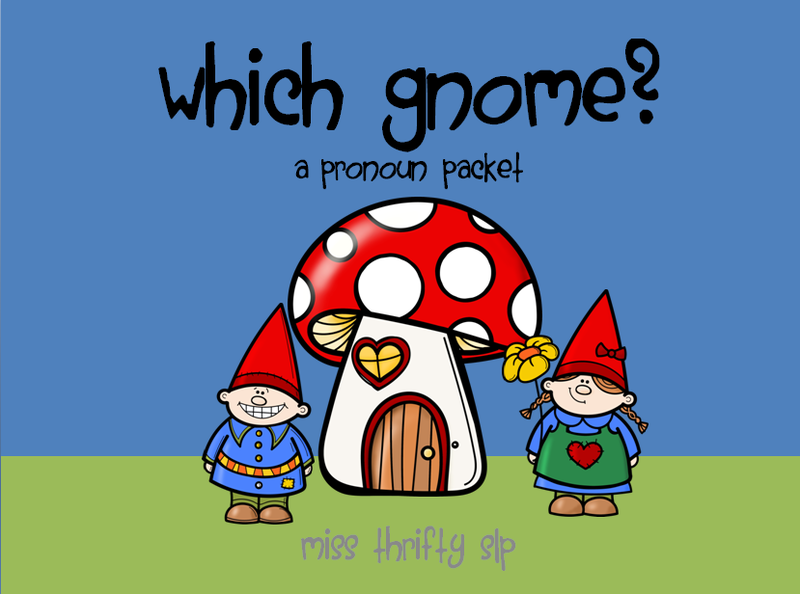 Students can point to the correct gnome or say the appropriate pronoun after you present the sentence. To learn more about this activity, click on the image below.